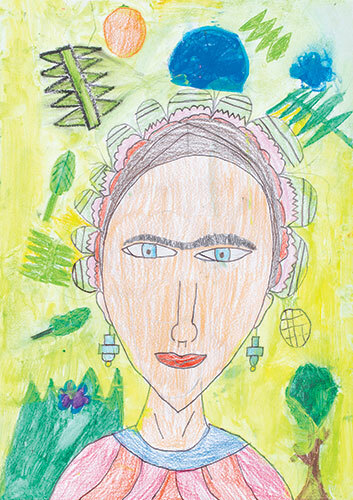 Students created a portrait of the Mexican artist Frida Kahlo using mixed media: Oil pastel, watercolour paint, and pencil. 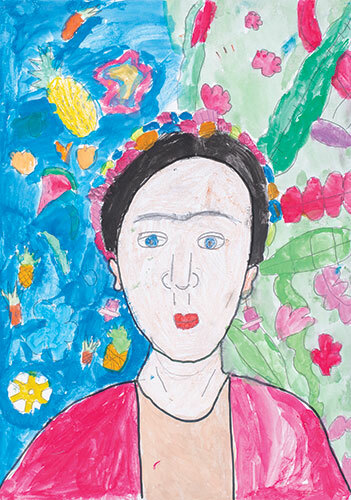 Students began by drawing a simple sketch of Frida’s face with grey lead. 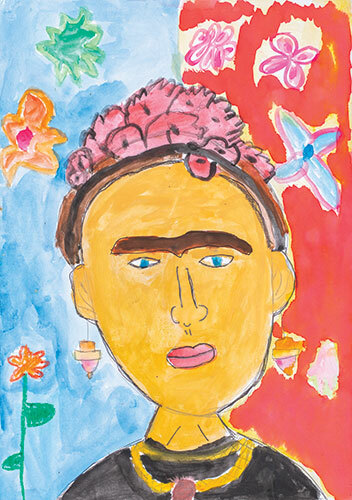 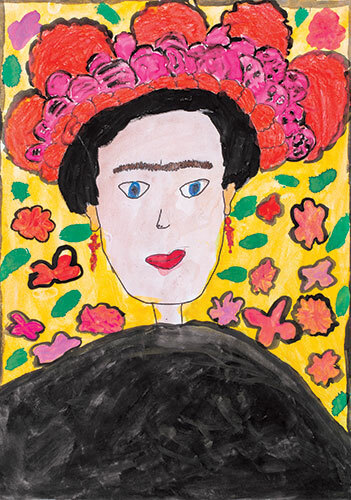 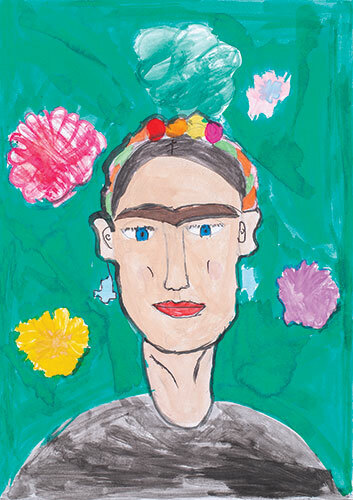 Throughout the unit students were encouraged to express Frida’s character in their portrait. 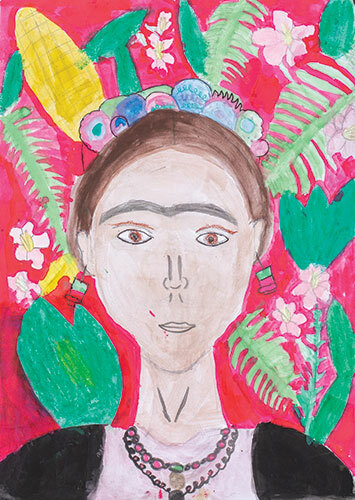 They achieved this by emphasising facial features and including the intricate detail of her clothing and headdress. 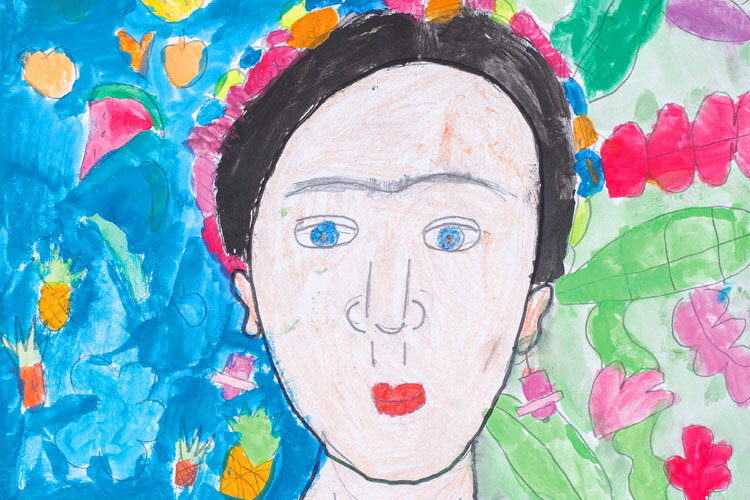 Students discussed Frida Kahlo’s famous phrase: “I paint myself” – referring both to her physical appearance and her personality/character prior to commencing their artwork.